Welcome to the Olde Magnolia House Inn. 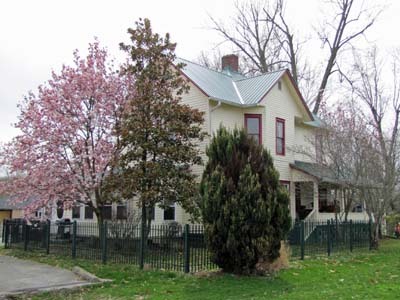 This historical home was built in 1912 and originally owned by the Bond family. Spent a night here with my boyfriend over the weekend. Nancy is a great host — very communicative and responds so quickly! We stayed in the Monet Room... very quaint and clean and comfy beds! Nancy’s place is close to main drag in Nashville, which is quite nice because you can walk everywhere 🙂. We would come back. We had such a wonderful time as a group of six who rented the entire upper floor. The common area was a perfect spot to unwind after dinner and share a bottle of wine. The rooms were beautifully decorated and so comfortable! I slept like a baby. The location was quiet and perfect- just a short walk to everything you need in town. We will definitely be back again soon. Nancy is a wonderful host! I loved staying here! Nancy was a great host! Her Inn is within walking distance of downtown Nashville shops and places to eat. It was very quiet and comfy and her shop has very neat things to buy. We appreciated her hospitality and we will definitely stay again if we are in the area! Thank you!